Another way is to select the keyword that you would like to modify by ticking the box at the far right side of the keyword and then click on "Manage Selected Keywords". 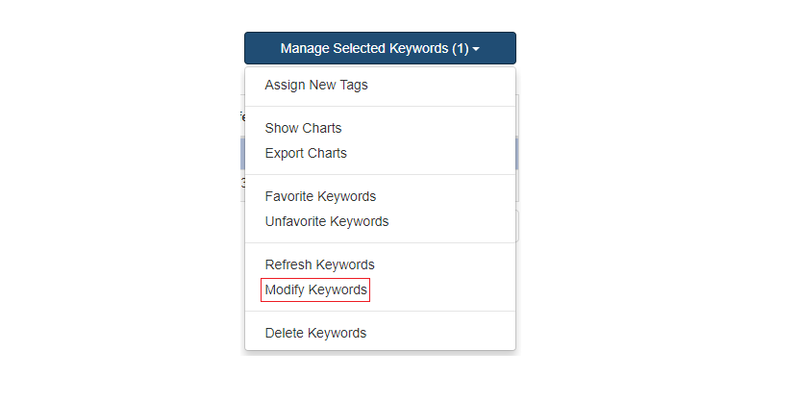 You may now click on "Modify Keywords". Note: Keyword history will be retained.